fredfabian29: I like that idea since I don't face a lot of control matchups in BO1. stensiagamekeeper: Deafening Clarion sounds good right now and you're right about mono-blue since I've faced quite a few yesterday. 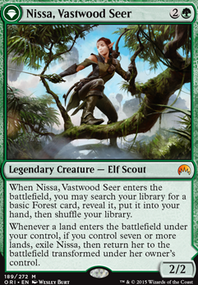 If I see an uptick on it I might have to mainboard Shivan Fire / Lava Coil . I hear B of 1 is inundated with mono-red and mono-white. You could have a second version that mainboards Deafening Clarion because of how good it is in those matchups especially considering how good the lifelink option is with your fatties. Maybe sideboard it as well in the other one depending on the meta. Also mono-blue has been doing really well in the pro scene all of a sudden so I'd expect to run into that a little more often especially in the higher tiers. For that reason I'd consider possibly running some Shivan Fire or Sky Tether in the side so that you can interact with Curious Obsession in time for it to matter. If I had to suggest what to cut from the sideboard to make this happen perhaps some of the control hate because you don't seem to have that many dead cards against them game 1 (although i can see an argument for boarding out Circuitous Route ). Also if you're adding shivan or tether maybe cutting Lava Coil s could be correct if you think it's worth the respective tradeoffs. Are you new to Magic, RandomAsian137? If so, Welcome to the Fold! I'd run Shock and Lightning Strike over Shivan Fire and maybe drop a few of the enchantments. That can go to the face as well as removing creatures. 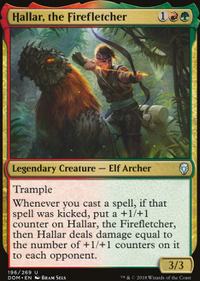 Fight with Fire is another good option that can hit a larger creature early on, or dome them for 10 late... can even one-shot kill if The Flame of Keld procs 3rd saga goes off with the kick. Fanatical Firebrand is also one of the best 1Drops. I'd consider adding just for the utility of having another aggressive play and can just tap-sac to ping damage. I like all the spell-play opportunity with Fire Urchin. 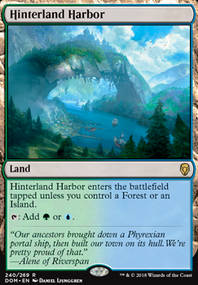 I'm wondering if using that and something like Maximize Velocity to give it haste would be worth it... could discard a land, and cast it again for another trigger. I don't know if it's better than your build... but it's got me thinking. Regardless, looks fun. Hope this helps. Lightning Strike, Shock, Lava Coil, and Shivan Fire aren’t needed and frankly I don’t get why anyone would want these in a Control deck. If you really must play a 3rd color black has better options, but anyway. These all can be replaced with bounce spells such as Blink of an Eye, more counterspells and/or if not already in the deck, Opt. As for more cheap removal, There is Baffling End to get rid of more early plays and some decks may be able to make Isolate work for any pesky one drops. Also a great early blocker is Shore Keeper it can keep early Aggro decks at bay for a time if it is not removed immediately and can generate card advantage late game. Thoughtbound Phantasm could also work if running lots of surveil. Ummm... so what do you replace with all of the single-target removal, Seal Away can't replace Justice Strike, Lightning Strike, Lava Coil, Shock, and Shivan Fire, heck, it can barely replace any of them. 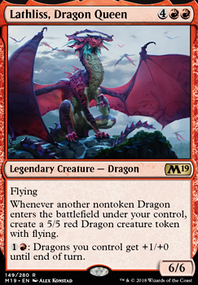 agreed its nowhere near as good in all areas... more so just attempting to mimic it as close as possible...at least deck philosophy of skred red. 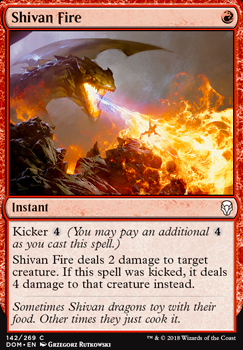 Shivan Fire caught my attention because of its ability to grow in the late game in the way skred gets stronger as more snow permanents are in play... perhaps Banefire would be more suitable in this aspect... idk still just an idea t this point. mimicing Blood Moon is by far the toughest thing to do... is this the main thing you were getting at with not having the same factors in standard as modern Boza?... Blood Sun/Alpine Moon seem to be dead in all scenarios i typically come across/can think of in arena....but Damping Sphere might be good in those izzet matchups with Guttersnipe/Electrostatic Field/Niv-Mizzet, Parun... otherwise just might be nice to slow the creatures from being all dumped into play in one turn against the merfolk matchups or similar. Sarkahn is no koth but i figure he's a better option than Chandra, Bold Pyromancer (i think anyway...) Have his abilities be used to ditch the least useful card in hand to hopefully topdeck something more relevent and his other ability to lay down a threat like Verix Bladewing and still leave mana open for another burn spell of even just pay that kicker cost.... his ultimate of 4 5/5 flyers is kinda cool but yeah its not koths emblem by a long shot. 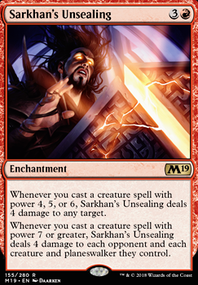 I have a crazy idea that maybe I can take a proven deck type like skred red and perhaps i can pull it off as a "strictly worse" variant in MTG Arena...like instead of Koth of the Hammer have Sarkhan, Fireblood...instead of Blood Moon have Damping Sphere/Blood Sun/Alpine Moon..... and instead of Skred... have Shivan Fire ext ect ect. Here is the Deck list idea... anyone have any thoughts on this idea or suggestions?